We Help Kids To Scale Their IQ! The gear blocks are fastened onto the structure blocks. The aesthetic pieces, like the stickers, foster creativity and allow children to explore the visually pleasing aspects of design. 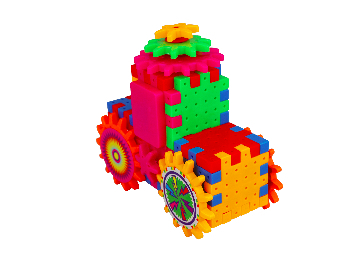 Kids can create anything from robots to cars and trains, mini-cities to dinosaurs; the possibilities are endless! 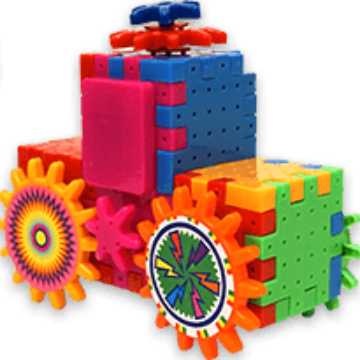 By exposing children to the joys of building something, along with the wonder of technology, Wonder Gears works to adequately prepare children ages 3+ for the future. There are endless possibilities! 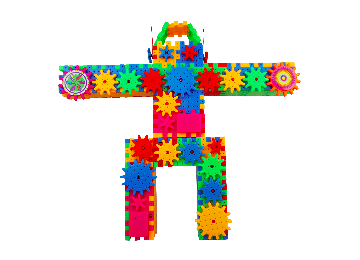 The component types include stable gears, structure blocks, motorized gears, and aesthetic pieces. 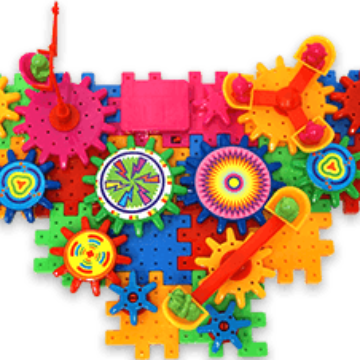 The gears pieces work together to create elaborate spiralling patterns and enable children to experiment with mobile design and locomotion. The visit at grandma house now is on top of my love grandkids list :) they had hours of total fun, and i enjoyed to be their consultant. 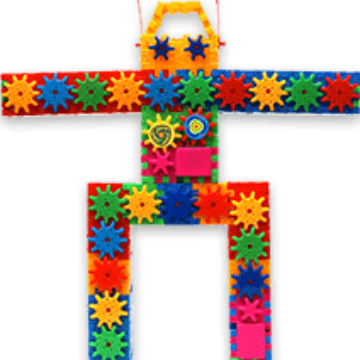 remained me my self as a child doing the erector sets. 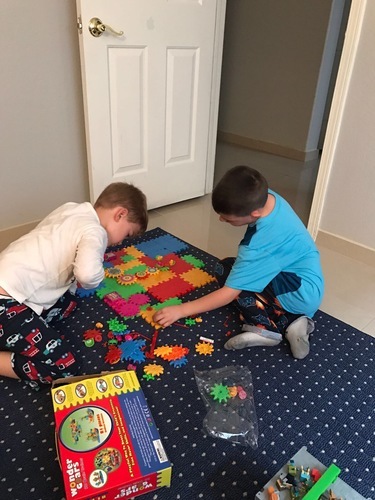 I bought a set for my Grandson and I'm not sure who loves it more, my husband or my grandson. Thinking of buying another set so he can build bigger and better things. 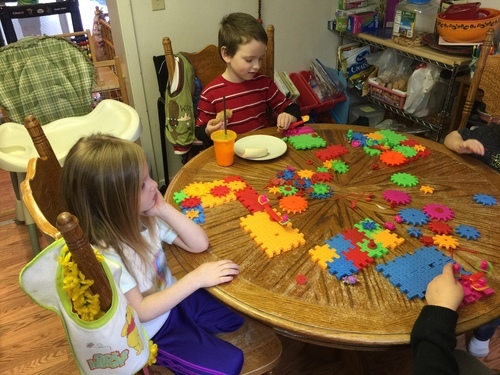 I run a licensed daycare here in Alaska and the kids just love the Wonder Gears, in fact, they came in the 2nd day and asked to build with them. Next, will be ordering the race track. 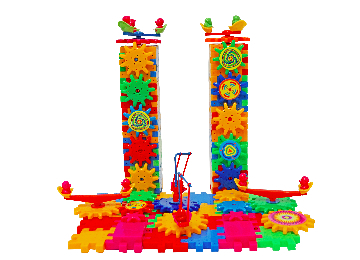 There are endless possibilities for imagination for boys and girls alike. 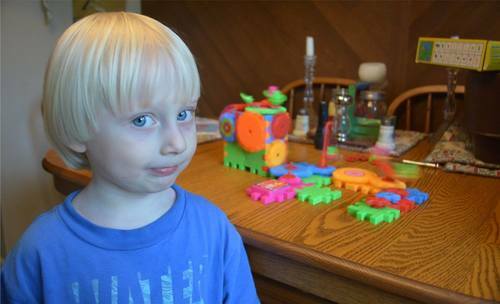 Your children will build social and critical-thinking skills essential for everyday life.